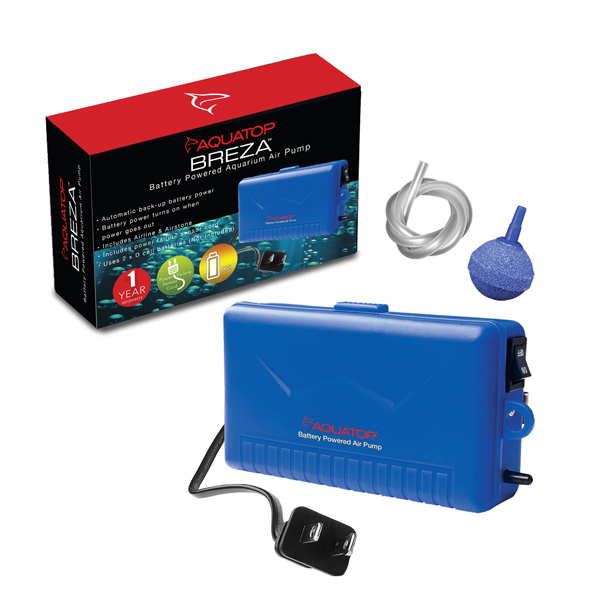 The Aquatop BREZA Battery Operated Air Pump provides auxiliary air when a main air source fails. It's a reliable back-up air source during a household AC power failure, and can also be used as a portable aerator for fish in transit. Comes with an air stone, 23" tubing and an AC power failure sensor. Uses two D cell batteries (Not Included).